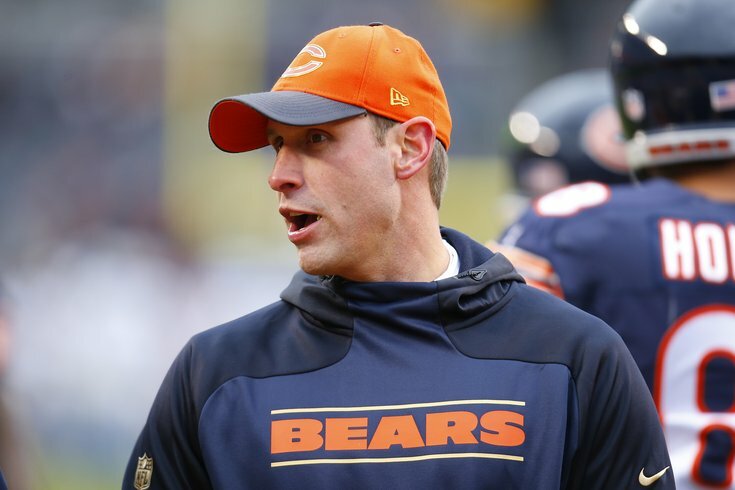 The Bears' Adam Gase has a short, but impressive resume as an offensive coordinator. With "Black Monday" in the books, at least a half dozen teams are looking for new head coaches, with possibly more to follow. Many of them will hire current offensive or defensive coordinators from around the league. We figured out the above for every offensive coordinator in the NFL, and sorted them in order of best average total yards ranking. The chart below shows each coordinator's average season ranking in total yards, rushing yards, passing yards, and points scored. A number of the below coaches have a sample size of just a few years, and certainly many of them have a high or low ranking because of favorable/unfavorable situations, so be careful not to make too much of any extraordinarily high or low rankings. To note, many of the offensive coordinators below have also been head coaches, so I had to make a choice on including their teams' offensive numbers when they were the head guys. I opted to include those years as well.